The U.S. Global Positioning System — the constellation of military satellites that provides positioning, navigation and timing (PNT) services — is the proverbial glass house that was built before the invention of stones, Air Force Secretary Heather Wilson observed last summer when asked about vulnerabilities in the nation’s space architecture. Wilson’s analogy speaks to growing concerns about the possibility that GPS satellites could become enemy targets in a future war. The Pentagon and intelligence agencies have warned that China and Russia have developed advanced electronic weapons that could be used to jam or interfere with GPS signals. Military operations are hugely dependent on having access to assured PNT — so much so that the military routinely practices how it would fight in GPS-denied environments. The Pentagon does not disclose if or when its GPS signals are jammed but the rhetoric from senior leaders suggests that they are taking the threat of enemy jamming seriously. 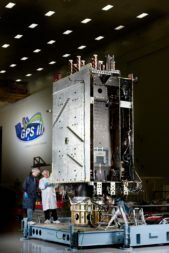 As an immediate response, the Air Force has begun deploying more-advanced GPS satellites, called GPS 3, designed to be more resistant to jamming and spoofing. The Air Force also is looking for ways to shore up the PNT capabilities provided by GPS. 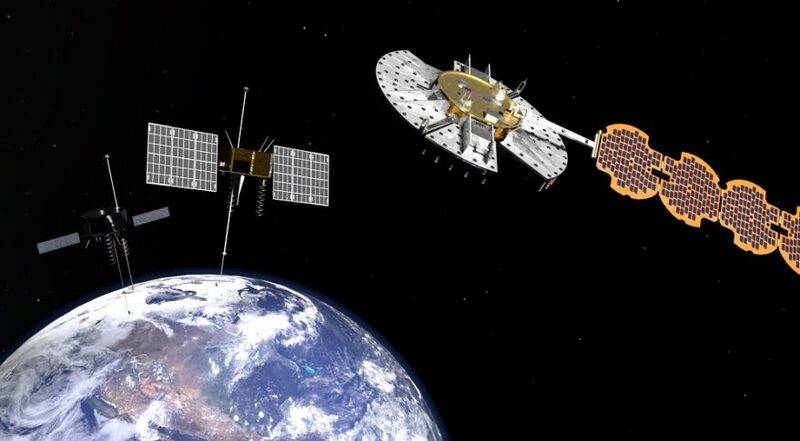 One approach the Air Force believes could work is to supplement its medium Earth orbiting GPS constellation with an additional layer of smaller satellites in geosynchronous Earth orbit. To test that idea, the Air Force Research Laboratory in 2022 will launch an experimental PNT satellite called NTS-3, short for Navigation Technology Satellite 3. Arlen Biersgreen, NTS-3 program manager at AFRL’s Space Vehicles Directorate, said the goal of the experiment is to examine how the military’s PNT architecture built around the GPS constellation could be made more resilient. “And we can demonstrate that with only one spacecraft,” he told SpaceNews. “Ultimately, the goal is to show Air Force Space Command what it could look like to have a number of satellites like NTS-3 to augment GPS,” Biersgreen said. NTS-3 would be a “persistent capability” that due to its geostationary orbit is always directly above the same spot on the ground, he said. The military’s current constellation of 31 operational GPS satellites, in contrast, orbit the Earth twice a day. AFRL’s Space Vehicles Directorate, based at Kirtland Air Force Base, New Mexico, awarded an $80.4 million contract for NTS-3 in December to Harris Corp. As the prime contractor, the Melbourne, Florida-based company will build NTS-3 using a Northrop Grumman ESPAStar bus. The contract includes options for AFRL to buy up to nine of the satellites. At 1,250 kilograms, NTS-3 is far smaller than the 4,400-kilogram GPS 3 satellites being built by Lockheed Martin Space Systems. The ESPAStar spacecraft platform that NTS-3 will utilize gets its weight-saving doughnut shape from the so-called EELV Secondary Payload Adapter (ESPA) that serves as its core. Originally conceived in the 1990s as a way to accommodate a half-dozen small payloads below the primary payload of the Atlas 5 and Delta 4 rockets fielded under the Air Force’s Evolved Expendable Launch Vehicle program, the ESPA ring has been used as the foundation of NASA’s LCROSS satellite that deliberately slammed into the moon in 2009 and Spaceflight Industries’ SHERPA space tug that deployed 64 smaller satellites following its December launch aboard a SpaceX Falcon 9 rocket. NTS-3’s ESPAStar bus was most recently used for the ESPA Augmented Geostationary Laboratory Experiment satellite, known as EAGLE, that AFRL launched last April on an Atlas 5 rocket. The $30 million ESPStar bus being built for NTS-3 will have a four-panel deployable solar array instead of the three-panel design used for EAGLE. The Air Force has not selected a launch vehicle for NTS-3. NTS-3 was designated by the Air Force in 2015 as the AFRL Space Vehicles Directorate’s next major space experiment. NTS missions date back to the 1970s when they were led by the Naval Research Laboratory. NRL launched NTS-1 and NTS-2 in 1974 and 1977, respectively. Those missions tested technologies and concepts such as time range, range-rate navigation and a 12-hour orbit that made their way into the first generation of GPS satellites in the late 1970s. As the U.S. military’s first Navigation Technology Satellite mission in 40 years, NTS-3 is intended to test new hardware including a digital signal generator that can be reprogrammed on orbit, enabling operators to quickly deploy new signals as they encounter electronic threats. The NTS-3 mission will also demonstrate new tactics and procedures — in space and on the ground — that Gattle said will help advanced the state of space-based PNT. These include increased automation, greater use of commercial ground assets, and novel cybersecurity procedures. “It’s the next generation of GPS,” he said. The Air Force still has 31 GPS 2 satellites in service and has only just begun to deploy its GPS 3 constellation. 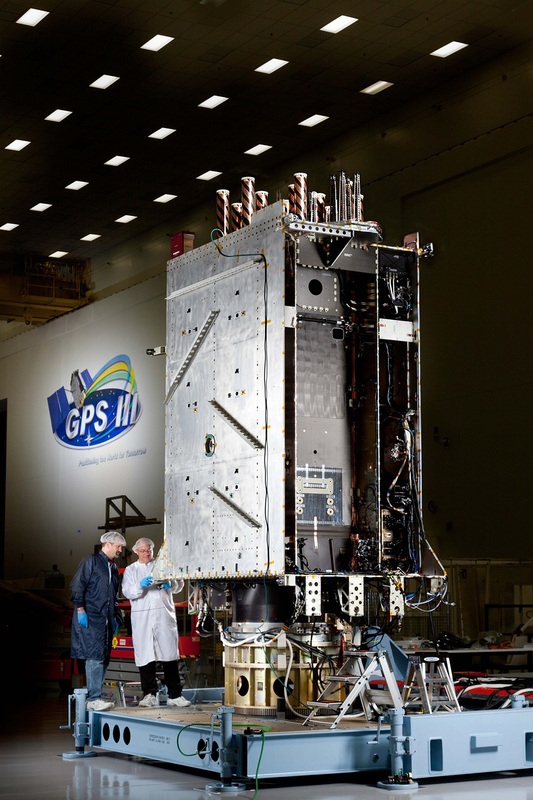 The first GPS 3 satellite, part of a $3.5 billion order Lockheed Martin received in 2008 for 10 satellites, launched in December aboard a Falcon 9. In September, the Air Force awarded Lockheed Martin a $7.2 billion contract to build up to 22 additional follow-on satellites known as GPS 3F. The satellites are designed to last at least 15 years and the Air Force does not expect to launch the last in this series until 2034. The NTS-3 will be a one-year experimental mission, although the satellite is being designed to last three years or possibly longer. “We’re trying to show what this architecture would look like for GPS augmentation,” Biersgreen said. Another goal in the NTS-3 experiment is to figure out how to better synchronize the space, ground and user equipment segments. The lack of coordination among the three segments has been blamed for setbacks and schedule delays in the GPS 3 program. The ground control system for GPS 3, known as OCX, has been cited by the Government Accountability Office and the Defense Department’s weapons testing office as one of the Pentagon’s most troubled space programs. It is years behind schedule. After it was restructured by the Air Force and prime contractor Raytheon, it is now scheduled to be operational by 2021. To fill the gap, the Air Force in 2015 started to fund upgrades to the legacy ground control system so it can control GPS 3 satellites and provide an encrypted broadcast until OCX is available. The user terminals also have been problematic because their development and production was not well coordinated with the rest of the program. As a result, DoD anticipates that most operators in the field will have to continue to use older receivers for a few more years even after the new satellites are in service. AFRL in 2017 awarded Braxton Technologies a Small Business Innovation Research contract to develop the ground system for NTS-3. Biersgreen said Braxton is developing a solution that’s compliant with the Enterprise Ground System standard the Air Force mandates for all new ground systems. By moving away from custom-built ground systems for every new satellite system, the Air Force expects to save money and reduce operational headaches. Biersgreen said NTS-3 will be an “end-to-end demonstration of the space, ground control and user segment.” It will be more than just a space experiment, he said. For example, AFRL is protoyping software-defined receivers.